In the almost 40 years that role playing games have been around, a number of traditional mechanics have evolved in order to simulate how armor protects individuals in combat situations. For decades people have debated the merits of the various systems and which more realistically emulates the underlying "physics" that ought be emulated by a rules set -- the important word being "ought." The mechanical preferences of players and systems is in part due to the fact that different games not only represent different time periods, they also represent different genre that often have very different levels of lethality when it comes to the combats being simulated. Though there are countless ways that armor can be emulated, I have found that there are four basic mechanical structures that have been used to simulate the effectiveness of armor in combat. 1) Armor Class systems. The first role playing game to utilize an Armor Class system was the Dungeons & Dragons role playing game -- the first role playing game. In a "pure" Armor Class system, the armor the character is using affects how difficult the individual character is to hit in combat. In these systems, characters in better armor are harder to hit than characters in "worse" armor. Also factored into a character's Armor Class is how agile a character is, and thus how adept they are at physically avoiding damage. 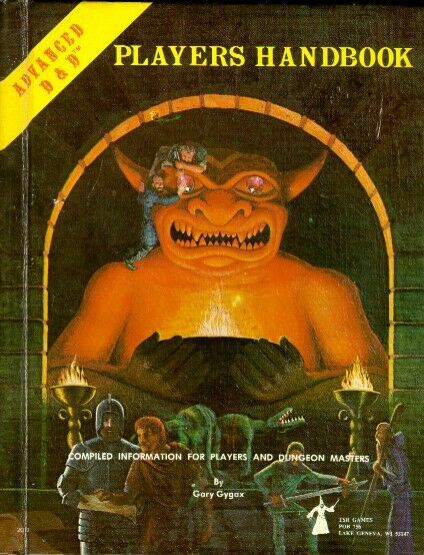 The system used in Dungeons & Dragons has its roots in the combat resolution matrices used in classic wargames like Gettysburg -- the so called traditional CRT. These tables compare an offensive skill value to an opponents defensive value and provide a numerical value representing the probability of scoring damage on an opponent. Just as a tank in Panzerblitz might have a defensive value of 6, a warrior in an Armor Class system might have an Armor Class of 6. 2) Damage Reduction systems. For many, the abstract nature of an Armor Class system seems less than intuitive and is less than satisfactory. To some, it doesn't seem intuitive that armor "makes you harder to hit," instead in can be viewed as reducing the amount of damage that a particular attack does when it hits. The first role playing game to use a Damage Reduction system was Tunnels & Trolls -- the second role playing game published. Damage Reduction systems vary in their complexity and end results. In some systems like The Fantasy Trip or Dragonquest, armor not only reduces the amount of damage your character takes from a blow, but it might actually decrease your own combat effectiveness as the system emulates how much a bulky suit of armor might affect your own combat capabilities. In these systems, there can be certain suits of armor that render certain weapons entirely ineffective as the maximum damage they can cause is less than the Damage Reduction value of certain suits of armor. 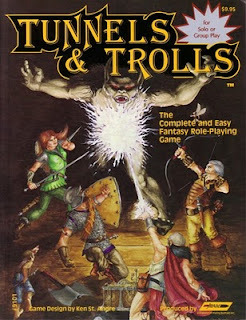 This was not the case with Tunnels & Trolls, but has been for others. 3) Armor Penetration systems -- A modification of Damage Reductions systems are those systems where armors have an Armor Value that must be exceeded by a roll of a weapon's Penetration die. The innovative RPG Dragon Warriors uses this system for its damage determination. In this system while the value of the protective value of the armor, and the damage rating for any weapon, is static, the chance that the armor prevents damage is a variable number. In this case, the armor doesn't prevent the character from being "hit," nor does it reduce the amount of damage done. Instead, the armor acts as a barrier that either blocks all the damage of a "hit" or none. Like the earlier Damage Reduction system, there are circumstances where a given armor might be impossible to penetrate with certain weapons. Damage = ((Probability of an attack hitting)*[Probability of weapon bypassing armor's Armor Value])*[Weapon Damage]. Damage = ([.5]*[.5])* or an average of 1 point of damage per attempted attack. Any successful attack would automatically do 4 points of damage. 4) Combination Systems -- the majority of the remaining systems appear to be combinations of the above mechanics. The Palladium Fantasy Role Playing Game uses a variation of the Armor Class system with the addition of the damage armor blocks being absorbed by the armor which can be destroyed if it takes enough damage. 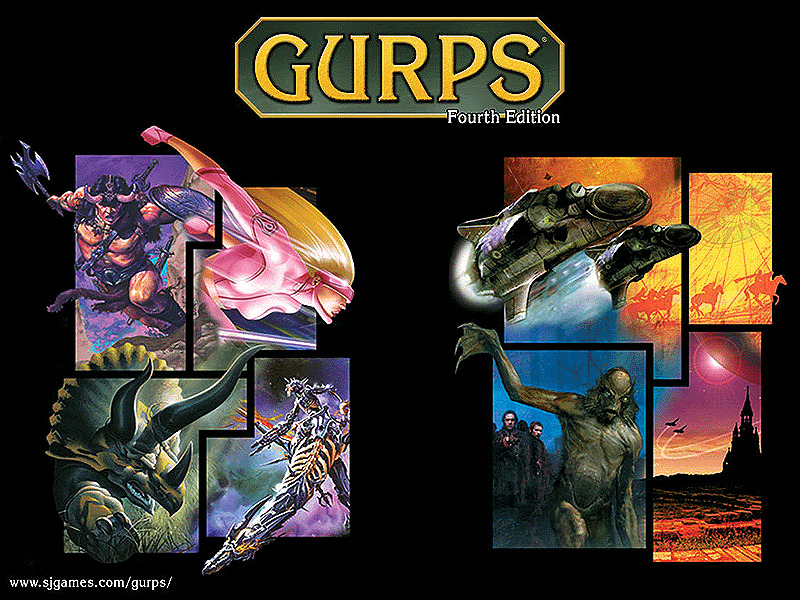 The GURPS game uses a Damage Reduction system that also includes a "Passive Defense" system that allows for armor to make an opponent miss outright. 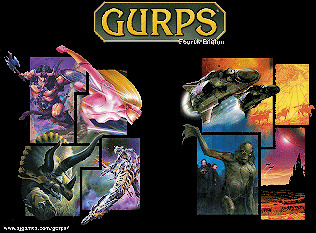 The Hero series of games -- because of its effects based nature -- actually uses both systems. One could represent Armor in Hero as either reducing the chance to hit, or reducing the amount of damage done -- though the system always includes some element of a Damage Reduction system. This is also true of Green Ronin's excellent Mutants & Masterminds game system (and their True 20 system as well), which uses both an Armor Class system and a Damage Reduction system and can have armor simulated either way. 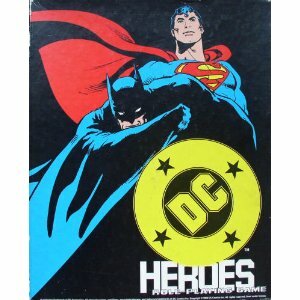 Games like Mayfair's sadly out of print DC Heroes role playing game have armor work in a modified Penetration system. Damage = [chance of doing any damage]*[average damage] - Damage Reduction. Even D&D uses this equation, it's just that the Damage Reduction is always equal to zero. 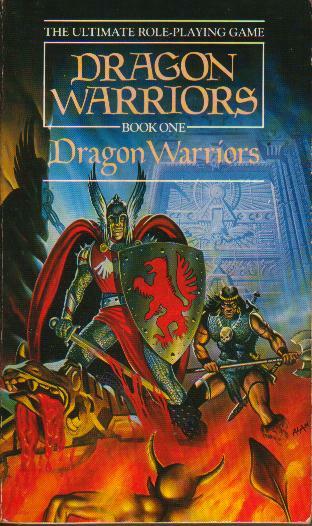 The Advanced Dungeons & Dragons game did attempt to add some granularity to this linear equation through the use of a weapon vs. armor modification chart which added or subtracted from the probability to hit based on which weapon was being used against which specific armor. This system wasn't widely used for a number of reasons, not the least of which were that it was unduly complex and that it didn't include sufficient modifications for weapon use against monsters. As an aside, one could argue that DC Heroes is one of the few games that breaks completely free of the simple linear damage equation I gave above. It still can be represented in a linear equation, but the variables are modified based on a hit and damage resolution tables that aren't purely linear in its expressions. Which is your preferred Armor simulation system? Are there any simulation methods I left out that you admire? Great first April A to Z blog post! Armour systems are something I have to think about quite carefully. My favourite is for shields to come under the armour penetration system and armour you wear to come under the damage reduction system. Armour can be a nightmare because it is too good then people will either never be hit or never take any damage and you'll be there forever.